The main focus in the video is put on the definition of beauty. The interviewees are sharing the idea of what is beauty for them – for people with disabilities. Beauty can be expressed in various way by everyone, no matter if you have disabilities or not. The video tells us that we all have the right to self-development and freedom of expression. Accepting yourself and your disabilities is the best starting point for allowing people to understand you and get to know you better. 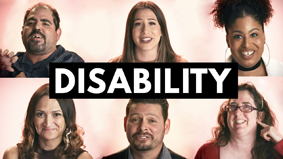 The message behind the video is that society shouldn’t be afraid of the disabled people but ready to learn more about them and talk about it. Then equality and unity are a natural outcome.